Miami Accountant, Inc. has a mixture of accounting backgrounds with technology foresight. This enables it to provide its clients with the best tools to streamline their businesses while yielding the management and financials reports they need to make timely business decisions. Miami Accountant has almost 20 years of experience and has become a highly regarded expert by its peers and clients. Miami Accountant is guided by its vision: “To optimize business operations and management, through accounting technology expertise. This vision keeps it on top of the latest technological advances in accounting software and practices. Its values guide it to provide its clients with the best solutions customized for their unique businesses. 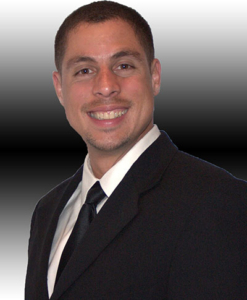 Mario Hernandez is the President of Miami Accountant. He got his Masters in Accounting, with a Concentration in Accounting Information Systems, at Florida International University in 2000. That same year, he passed all four parts of the Certified Public Accountant exam on his first try…a feat only accomplished by 15% of those taking the exam. Since 2000, he has worked with hundreds of small and mid-sized businesses in managing their financial, managerial, and tax accounting. Over the past decades, he has acquired invaluable experience in many different industries. He also became an expert in QuickBooks, the #1 accounting software used by small businesses in the world, and in Fishbowl, the # 1 requested automation solution for QuickBooks. He is Advanced Certified in both QuickBooks Desktop and QuickBooks Online, an achievement held by less than 1% of QuickBooks ProAdvisors. The QuickBooks ProAdvisor program has over 400,000 members and Mario Hernandez was named as part of the Top 100 ProAdvisors in the world. He has received that distinction from 2014 through 2018. Today he applies his experience and expertise in helping businesses with their unique workflows and accounting processes. Mario is fluent in English and Spanish. Miami Accountant is an Intuit Premier Reseller, a designation only granted to limited firms around the country. It is a member of the Woodard Network, where the top QuickBooks ProAdvisors in the country exchange ideas. Miami Accountant also has strategic alliances with other local and national accounting and technology firms. Miami Accountant was established in 2006 in Miami, FL. It has since grown into a well respected firm for accounting, technology, and tax solutions. The firm has specializes in automation, inventory, and reporting solutions.